Using QGIS I'm trying to analyse an area/DEM with this criteria: - heights 10 meter above the river-centerline in both sides of river. I can do it with the calculation of contours (2m) from DEM and geting the hights of the river-centerline and manually try to draw a line(vector) 10 meters higher than River-Centerline heights (see image below) . But I can't figure out an easy way to filter the boundary area in which the water level of extreme flood cannot reach that hight. Anyone have any ideas or thoughts on this problem? Browse other questions tagged qgis analysis terrain or ask your own question. Understanding curvature filter of QGIS raster terrain analysis? 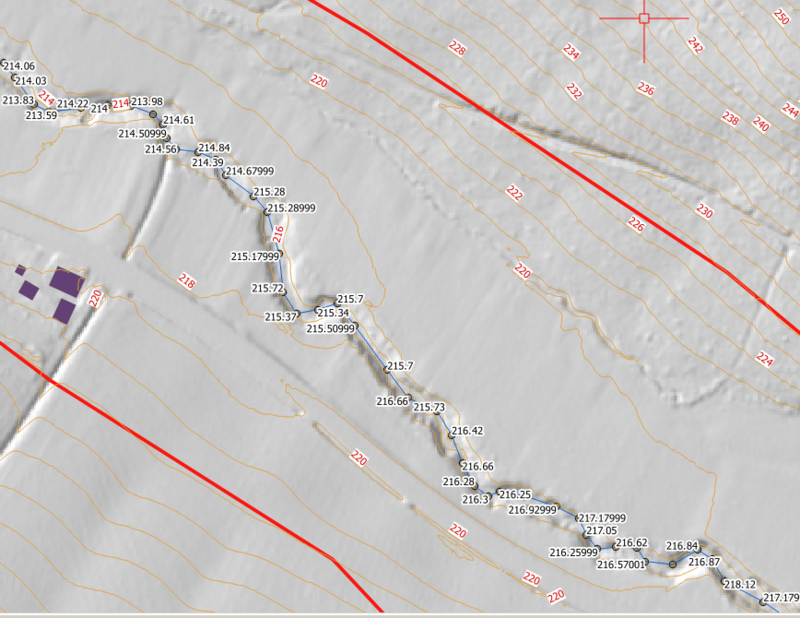 Raster terrain analysis on QGIS 2.0.1 - No curvature analysis? Is there a difference between the two sets of QGIS terrain analysis tools? Using slope and total height for terrain analysis in QGIS?